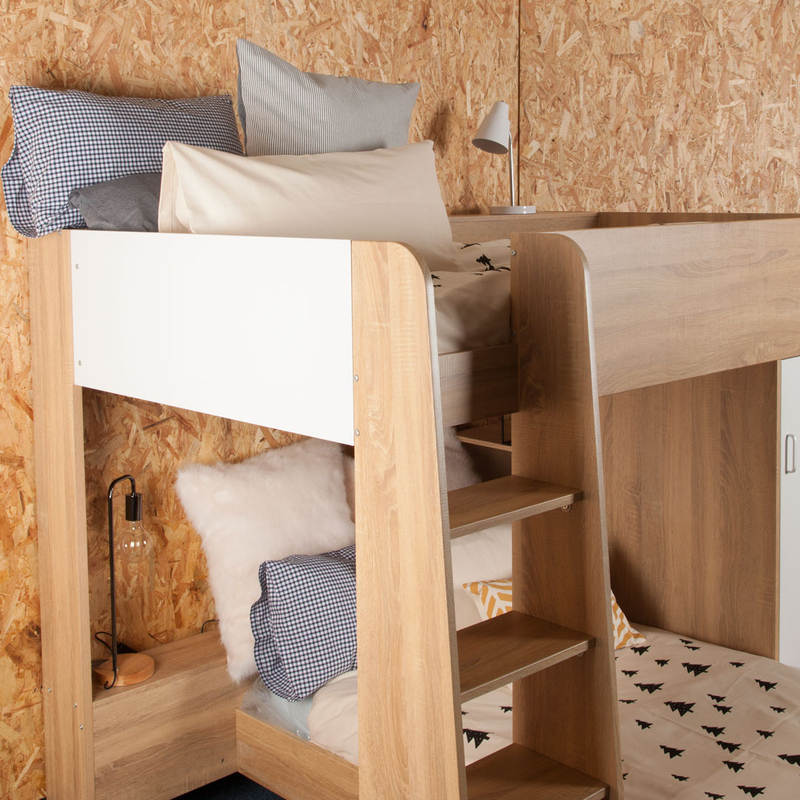 The Adventure L-Bunk offers a single bed below and above with an additional wardrobe and shelving built in. 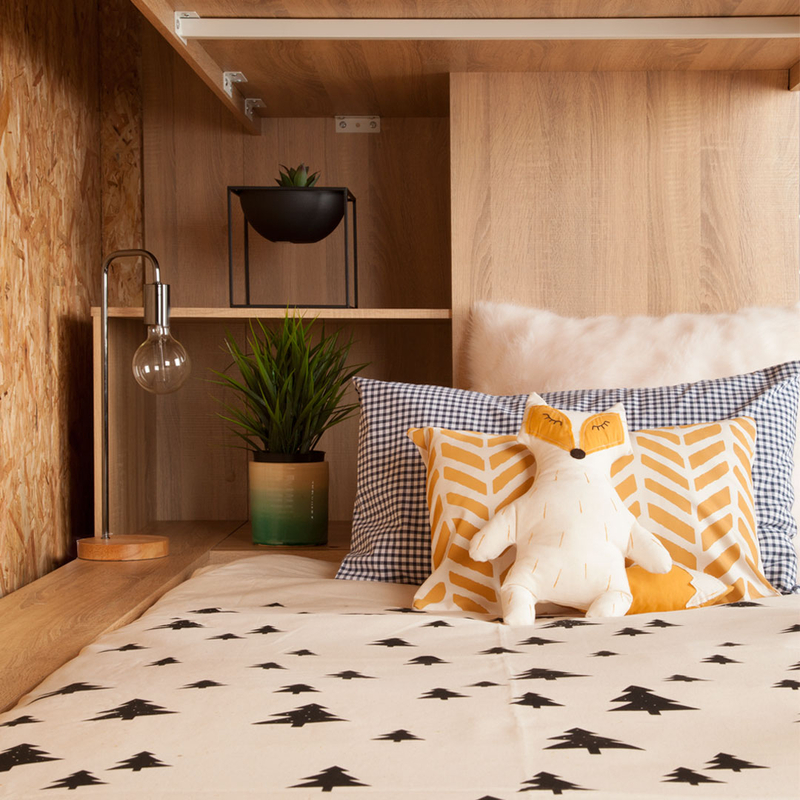 The Adventure L-Bunk offers a single bed below and above with an additional wardrobe and plenty of built-in shelving to boot. 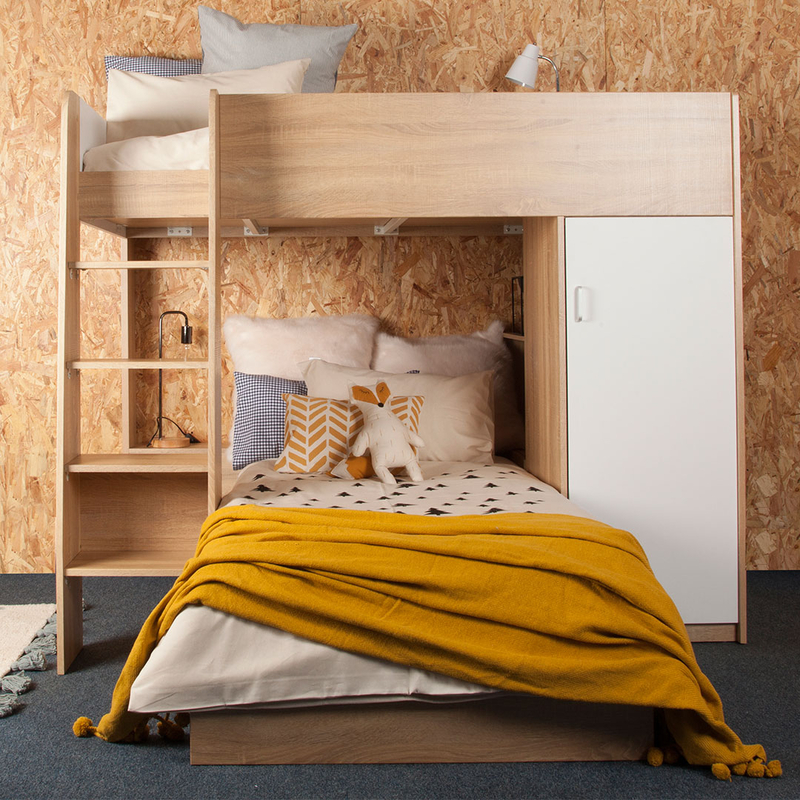 This bunk can be configured in a parallel or L-shaped position. The Adventure range introduces a new look to the kids bedroom scene, with its warm wooden texture paired with clean white finishes. It is ideal for girls and boys of all ages, although top bunks are only really for ages 6 and up. 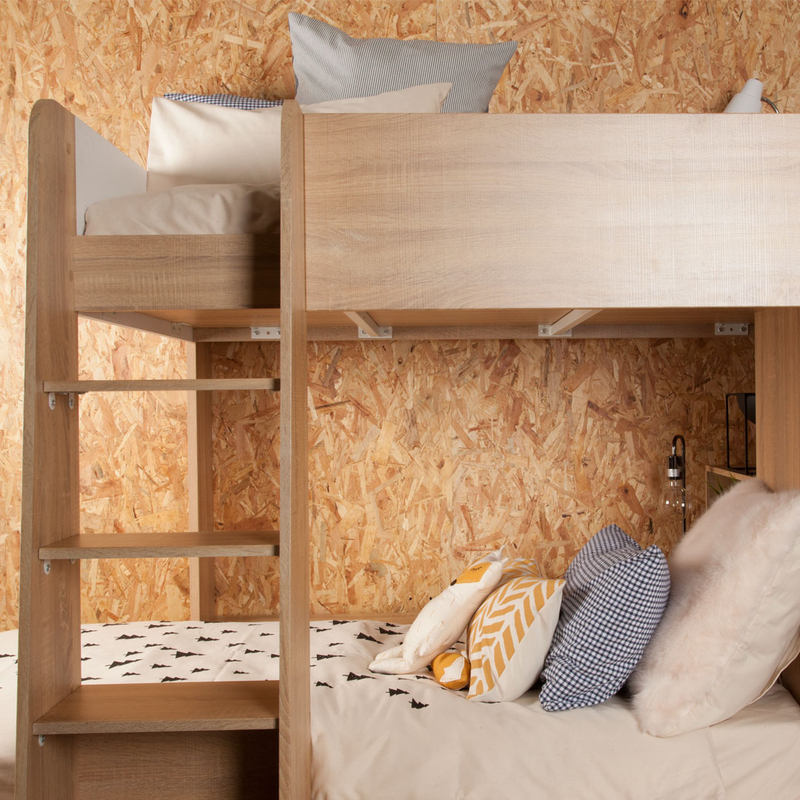 Bunk beds have always been a firm favourite with kids, and with today’s modern designs and clever storage space kids and parents get much more bang for their buck. Not to mention that with the latest security standards parents can be assured that there won’t be any snapping ladders and their children’s arms won’t get stuck in between the slats. The Adventure Bunk’s solid base boards and metal supports ensure a sleek finish from every angle.